New Costume Spring Spirit: Wish You a Happy New Year! 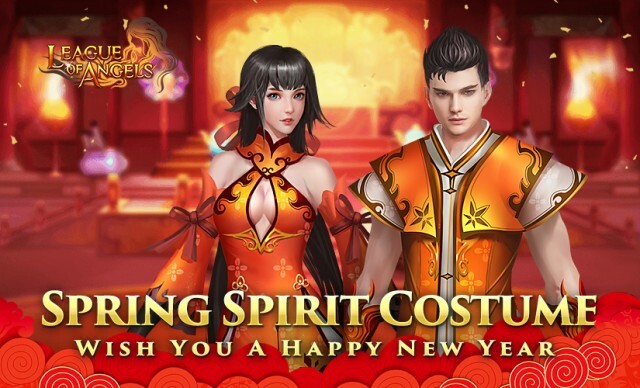 As Lunar Spring Festival is approaching, League of Angels introduces all warriors a brand new suit of clothing -- Spring Spirit Costume. In some places, it is a tradition that people should wear new clothing in welcoming Spring Festival, which may bring people good luckand everything will go well in the new year. This new costume will be available in Angel's Party from Jan. 16th to Jan. 22nd. 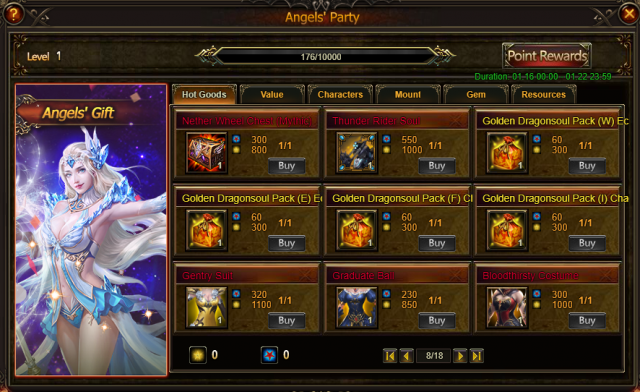 In Angel's Party event, many other costumes have also been added such as Gentry Suit, Graduate Ball, Bloodthirsty Costume and etc. It's a great chance for warriors to get favorite clothing! Spring Fest Tree event will also be online from Jan.17th to Jan. 21st. New Homestead print and units will be available there. 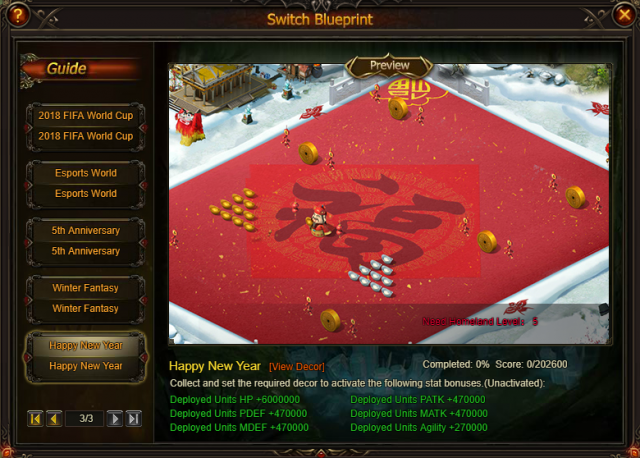 Check out the New Year Blueprint. The Happy New Year themed Homestead contains many traditonal festival elements. Do you like it? Hurry up to decorate your homestead. Join us in the Angel's Party and Spring Fest Tree event from Jan. 16th to Jan. 22nd to get the Spring Spirit Costume and decorate your Homestead in to Happy-New-Year theme! Next: New Year Angel Tyche Arrives!